The New Philadelphia High School Band is gearing up for a trip to New York City after receiving a personal invite from New York’s Mayor. 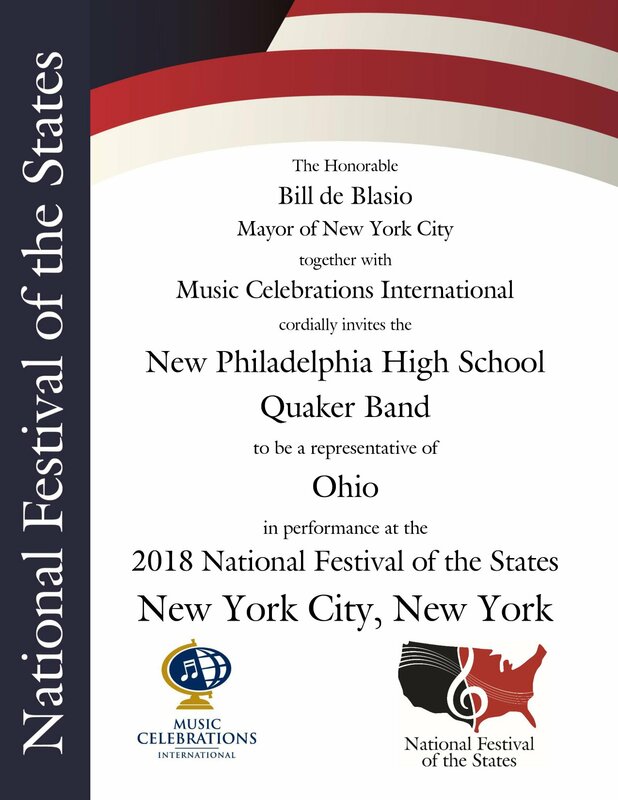 New Philadelphia City School officials took to the district’s Facebook page to announce New York Mayor Bill de Blasio has invited the High School Band to the 2018 National Festival of the States Concert Series in New York, New York. NPHS band will perform at the Josie Robertson Plaza at Lincoln Center in New York City on Thursday, March 29th at 2:00 p.m.